Great sketch and lovely papers Pat. Love the 'traditional' colour scheme. 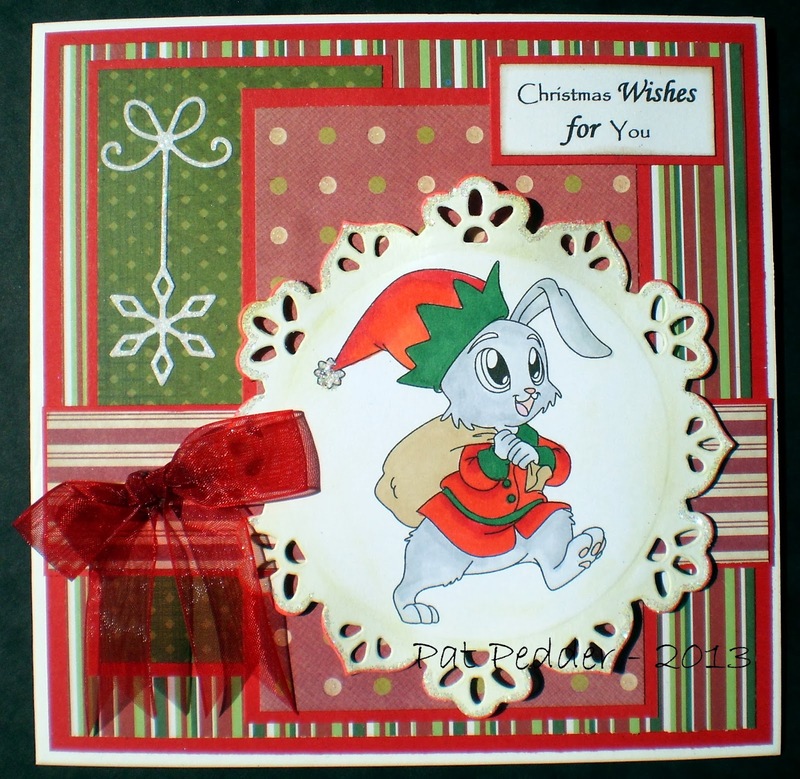 Gorgeous card Pat, I love the cute image and fabulous festive colours. Wonderful card Pat with great detail. Thanks for a fun challenge this week. Adorable image. Love your colouring as always. Gorgeous paper and background frame. Super cute card, Pat and this image works so well with your traditional Christmas colours. Love the Memory Box die and great papers. Adorable! Thanks for playing along with this week's There She Goes Challenge! Your card is beautiful Pat, I love the layout and the image is adorable.